It is a unique product new to the market with a broad focus on people with various health, physical or mobility problems. This implement is suitable for putting on and removing different kinds of underwear, trousers and tracksuits. You will be delighted. Sock Aid inventor Jaroslav Kučera represents new product Wings Pants. Wide focus on people with various health or mobility issues. It is a pleasure to give something that won’t end up with a dust layer and will be useful. 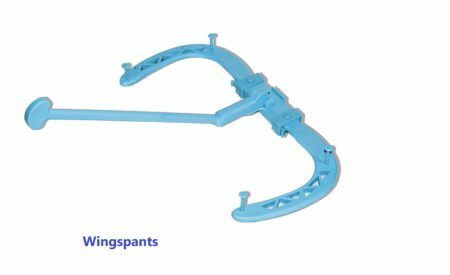 This tool especially suits people who have problems with the spine, back, hips, knees, joints, etc., Also people recovering or suffering from accidents, people who are overweight, pregnant women and also, the elderly. 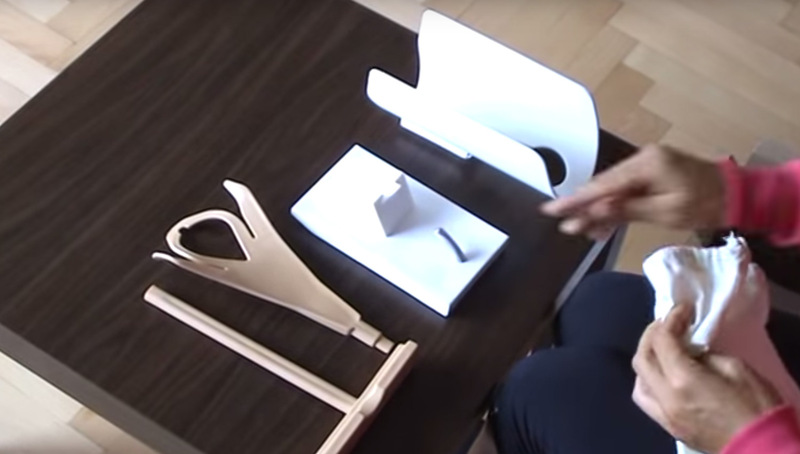 Jaroslav Kučera has invented another new product, and brought it to production. It has no equal in this field in helping people to be independent and satisfied with a practical solution. A simple helper, a practical personal servant who demands no wages but is always ready to help. An uncomplicated aid for your private and tricky situations. The product will serve you to dress, in your underwear, training pants or classic trousers. The product is adjustable according to your needs – a ‘one size fits all’ solution. You are always at ease with this helper and it will help you to manage difficult situations, contribute to your psychological satisfaction and contribute a feeling of control at home. Combined with the Sock aid Easy On-Easy off for putting on your socks you have full control of dressing without the need for helpers. It makes life easier. The product is made of tough polypropylene with good eye-appeal. Tests support our guarantee for reliability and satisfaction. You will see that the product lives up to your expectations. 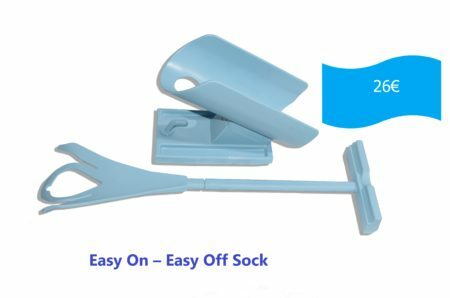 This product, together with our earlier product Sock aid Easy On-Easy Off, are the key to your fully-functional wardrobe and valet dressing service. Our company deals with the export, production and distribution of special aids. We are a small expanding company which was established in 2007 and we have delivered our products widely to many satisfied customers. All our aids are designed to help people in everyday life who have to cope with physical and health problems. The aim of the company is to produce aids for health and medical care which will help people with limited movement. Our vision is to bring a feeling of comfort and satisfaction to people with a variety of issues. As the sole owners of the invention we pride ourselves on the Recommendation of Sock aid Easy On-Off from the OPEV-Fair in St. Pölten in Austria and the Golden Award from the IENA Fair in Nuremberg,Germany. We have obtained a Gold Medal at this Fair as a result of the The Idea of the Year Award. We also received praise from the foreign media reporting on the IENA Fair.